I don’t think anyone ever forgets their first trip outside of their home country. In my case, I was 10 and I went to Paris. The next year after I came back I started down the journey of becoming a fully-fledged francophile, learning French, French history, French culture. Ask my friends, if anyone so much as mentions the word France, my head pops up like a bloodhound and I am immediately (more) interested in the conversation! I attend Rice University and I am studying political science and French studies. In the future I hope to become a diplomat, or have a career that will allow me to travel the world. For me, travel isn’t a luxury or something that should be done in one’s spare time. Travel is a necessity. It’s like breathing for me. 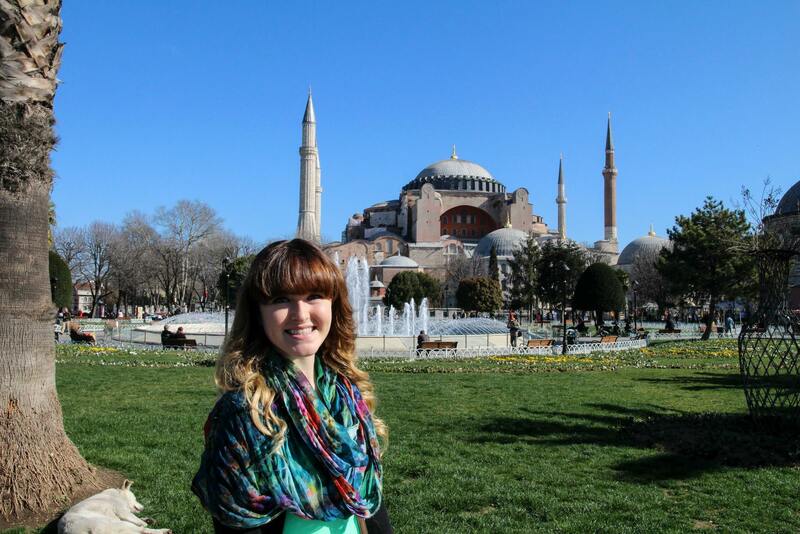 Me and the Hagia Sophia! Lovely blog! :) I’m excited to hear about your adventures!